This is a topic suggestion on The Church in the Middle Ages from Paper Masters. Use this topic or order a custom research paper, written exactly how you need it to be. It was the responsibility of the Church to monitor the behavior of the other two. The Church had to ensure their obedience and acquiescence to the society around them. Even this power, though, was distributed widely. Local bishops and priests were the individuals that kept a watchful eye on their communities; by following the teachings of the church as a whole, they were able to ensure that all of Europe maintained the same belief and behavior systems. The church was a very prominent part of life for individuals living in the Middle Ages. They provided the only connection that could be had to God and heaven; the vast majority of individuals throughout Europe did not have the ability to read, and thus were unable to explore their own spirituality through a reading of the Bible. They were dependent upon the teachings of the church if they were achieve the promise of a better life after this one. The church was also responsible for the dissemination of knowledge and education; monasteries were homes to individuals who copied some of the most famous texts of the era, allowing them to reach new audiences throughout the continent. 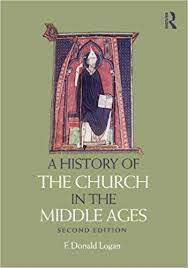 The church in the Middle Ages had their hands in nearly everything, from social behaviors to education to the government, demonstrating the far-reaching power of this institution. Reformation - The Reformation was portrayed as a spiritual movement, it contained strong political elements that supported the process of change from the medieval feudal system to the modern state. The Medieval Period - Medieval Geography and Politics Research Papers look at the different empires that existed during the middle ages, and their leaders. Celibacy and the Priesthood - This is due to the scandals in the Catholic Church regarding sexual abuse. Early Christian Art - Early Christian Art research papers overview how early Christian artists adopted various pagan motifs as means of not raising suspicion. The Golden Age - The Golden Age Research Papers delve into the important role of Western Civilization. Paper Masters writes custom research papers on The Church in the Middle Ages and discuss the prominent role the church played in the society of the Middle Ages.